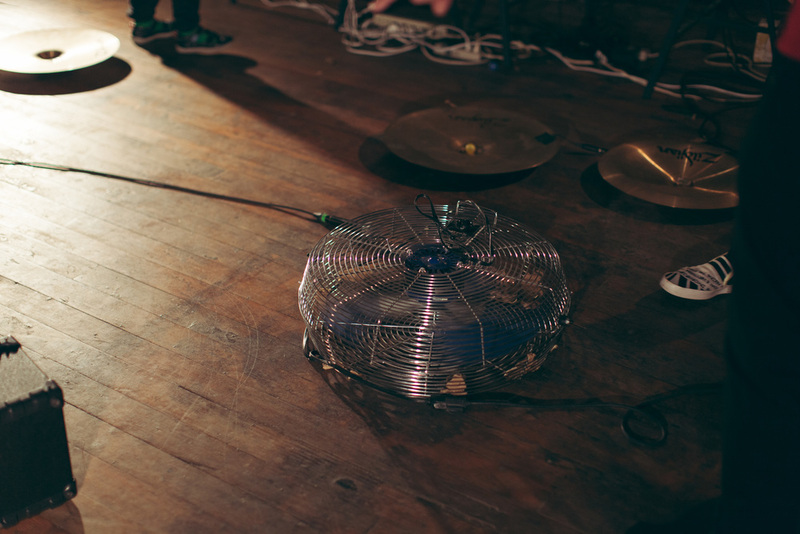 Japanese sound artists Akio Suzuki and Aki Onda present a unique opportunity to experience the innovative artists’ sonic and spatial explorations. Though they differ in generation and performance practice, the NYC-based Onda (b. 1967) and the Kyotango-based Suzuki (b. 1941) share an astonishingly inventive, open-ended, and spontaneous approach to the infinite and variegated possibilities of sound. Since initiating a collaborative relationship in 2005, the duo have embarked on a number of tours in Europe and Asia, exploring site-specific locations ranging from an abandoned factory on the outskirts of Brussels to an underground parking lot in Glasgow. Suzuki and Onda released their first album “ma ta ta bi” on ORAL_records in 2014. Onda and Suzuki perform by utilizing unconventional and self-made instruments including analog cassette Walkmans and radios, found pieces of wood, nails, hammers, buckets, marbles, and glass jars, allowing the individual architecture and acoustics of the various sites to guide the flow and development of the performances. Each performance will begin with the artists in the middle of the space, surrounded by the audience, before gradually moving throughout the environment as the performance unfolds. Since the 1960s, a sound art pioneer Akio Suzuki has been investigating the acoustic quality of selected locations and creating corresponding topographies. His intensive involvement with the phenomenon of pulse and echo led him to develop his own instruments in the 1970s. One of these is the spiral echo instrument Analapos. It consists of a coil spring and two iron cylinders that function as resonating chambers, and is played with the voice or by hand. Started from the 90s, his soundwalk project, oto-date, which means respectively "sound" and "point" in Japanese, the artist finds listening points in the city, and playfully invites audience to stop and listen carefully at given points on the map. Suzuki has been also active in the improvised music scenes in different continents, and has collaborated with Takehisa Kosugi, Derek Bailey, Peter Brötzmann, Steve Lacy, George Lewis, David Toop, and John Butcher. Aki Onda is an electronic musician, composer, and visual artist. He is particularly known for his Cassette Memories project — works compiled from a “sound diary” of field-recordings collected by Onda over a span of more than two decades. Onda’s main instrument is the cassette Walkman. Not only does he capture field recordings with the Walkman, he also physically manipulates multiple Walkmans with other electronic devices in his performances. In recent years, Onda often works in interdisciplinary fields and collaborates with filmmakers and visual artists. His on-going collaborations include “Nervous Magic Lantern” with Ken Jacobs, an improvisational trio with Michael Snow and Alan Licht, and audio-visual installation/performance with Raha Raissnia. Akio Suzuki & Aki Onda "ke i te ki" American Tour is organized by ISSUE Project Room. The project is supported by the Asian Cultural Council.